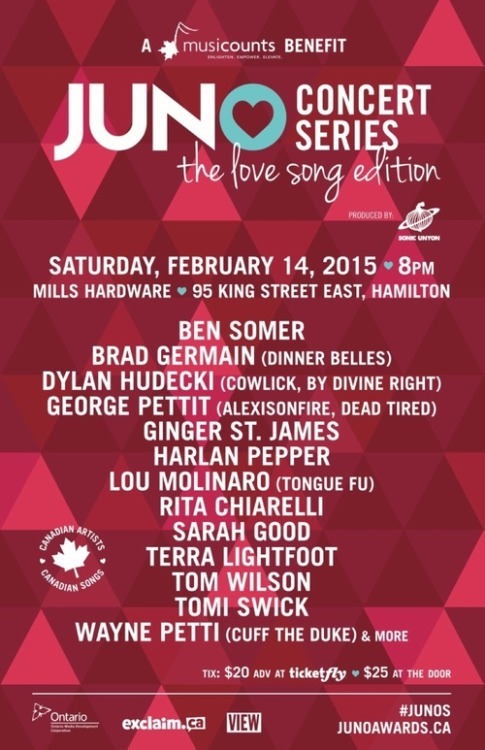 I’m incredibly excited to announce that I’ll be playing a tune at the upcoming 2015 JUNOs Concert Series: The Love Song Edition on Valentine’s Day at Mills’ Hardware. I’ll be playing alongside the finest in Hamilton, like Terra Lightfoot, Tom Wilson, Tomi Swick, Lori Yates, Ginger St. James, and of course, Harlan Pepper as the House Band. You can get tickets here. See you there!